Yes you can in fact mount your equipment sideways. Not only does this save space in your closet or networking area, it also provides easier access to the front and rear of the equipment. Sizes range from 2u to 12u and you can mount in virtually any direction you'd like. 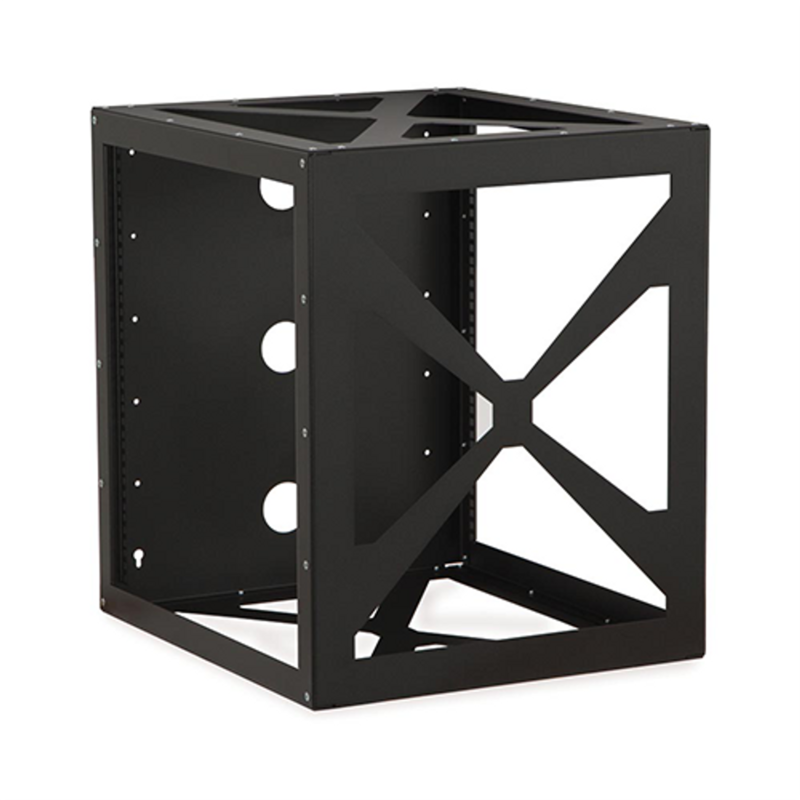 For extra versatility consider the U-Rack series which includes tapped and universal square holes on opposite sides!